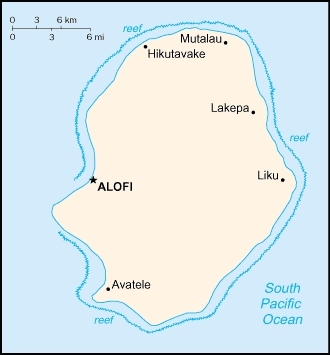 It lies due east of the capital, Alofi. 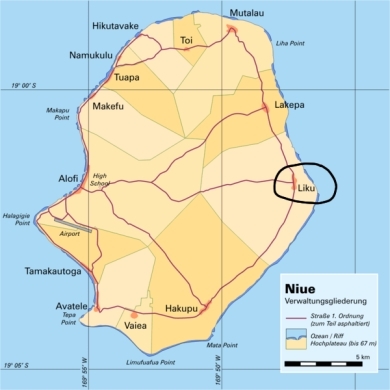 Liku is connected to the capital by a road which traverses the centre of the island. 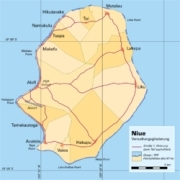 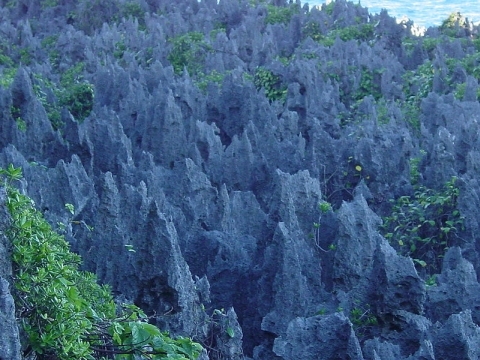 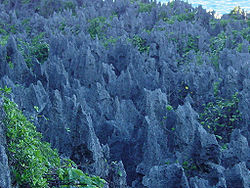 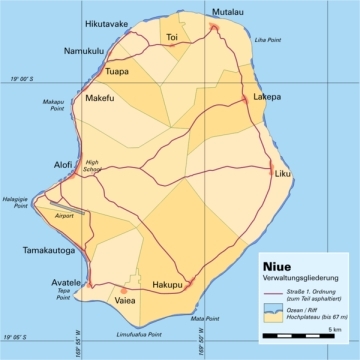 It is also - along with Lakepa, five kilometres to the north - one of two villages on the east coast road which connects Hakupu in the south with Mutalau on the north coast. 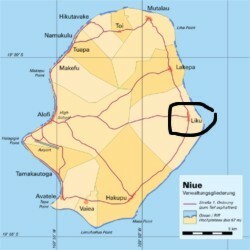 This page was retrieved and condensed from (http://en.wikipedia.org/wiki/Liku) see Wikipedia, the free encyclopedia, July 2009.